The most commonly eaten food in America is white bread. While wheat once was the staple for the most advanced civilizations of their times in Egypt and Rome, white bread has become a symbol of a nutritionally bankrupt food that may be causing many ailments in western society. Every time you eat bread, cake and other wheat and related foods, you consume gluten. Gluten is a type of protein that is found mainly in products made with grains from the wheat family. The protein composite is made up of two proteins; gliadin and glutenin. In most cases, people react to the gliadin in gluten. Gluten works in a similar way as glue. It holds food together and is the reason why dough stretches and acquires an elastic texture when mixed with water. This property also allows the dough to rise when baking. Besides the obvious wheat and wheat products like bread, cereal, cookies and fried items, gluten is also found in other breads and processed foods. And unlikely as it may seem, gluten is also found in food items like soy sauce, beer and monosodium glutamate (MSG). 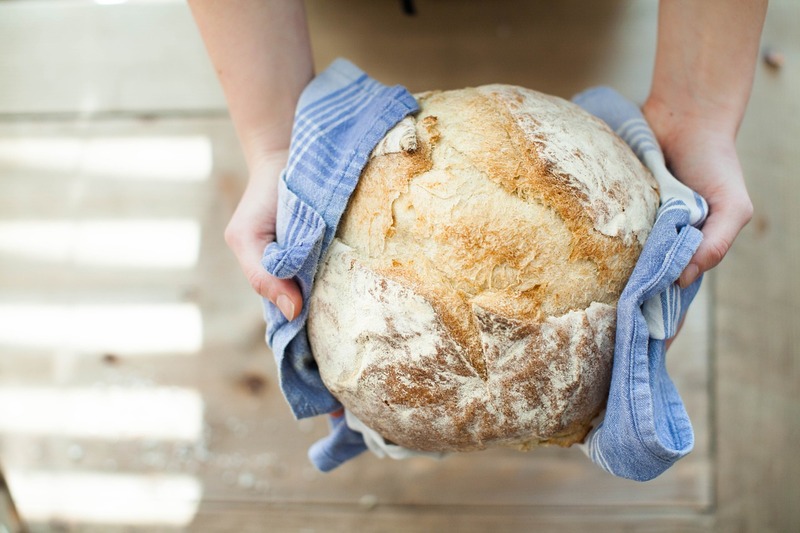 But what does gluten sensitivity do to your body? There are a number of factors that can cause inflammation in your gut. To understand inflammation, think of a cut or splinter on your finger that causes redness and swelling. This effect is a result of your body’s immune system activity to defend the area against infection. In the case of the gut, when gluten gets into the gut of a sensitive person, the immune system perceives the gliadin in gluten as a potential intruder or toxin. The immune system therefore reacts to fight against possible infection. This reaction can lead to either mild or severe inflammation. But this problem does not only affect people who are gluten intolerant. Amylase trypsin inhibitors (ATIs for short) can stimulate an immune response in the gastrointestinal tract by stimulating immune cells. The gut is a complex system within which food is digested, nutrients absorbed into the blood stream and waste is ejected. This requires a strict process to ensure that everything goes where it is needed. This is important because on a typical day, you ingest millions of viruses, bacteria, indigestible molecules such as dust. Not all these things need to end up in your blood stream, hence the strict patrol to sort them out. Inflammation in the gut causes cells in the walls to loosen. This makes it easy for the walls to absorb unwanted stuff; a condition commonly known as leaky gut. Gluten catalyzes the process by releasing a protein called Zonulin, which further loosens the cell junctions causing further permeability. The end result is a serious problem because of an essential factor in the development of autoimmune diseases. The gastrointestinal tract is an intricate ecosystem that consists of trillions of microorganisms. This community is known as the gut microbiome or the gut flora. The complex flora carries out various physiological, nutritional and metabolic functions such as signaling your brain about hunger, digesting food, synthesizing nutrients, regulating the immune system, and controlling intestinal permeability. Patients with celiac disease have issues with the gut flora because of its resistance to gluten. However, those problems are significantly reduced once the person eliminates gluten. Once more, this is not limited to patients with celiac disease alone. There are cases of non-celiac disease gut flora disturbances as well. Other components of wheat can cause gut inflammation in people who do not suffer from gluten intolerance. 50 million Americans suffer from any one of the 80 known autoimmune disorders. These conditions were rare of unknown until very recently. Tampering with the immune system through poor diet, drugs, stress, toxins, and reactive foods like wheat may be causing this epidemic proportion of autoimmune problems. The work of the immune system is to protect your body against diseases and infection. Autoimmune diseases happen when the body’s defense system starts to attack the healthy cells in your body by mistaking them for foreign objects. A leaky gut can allow proteins from foods to infiltrate the intestinal wall into the bloodstream and create a condition called biomimicry, in which a food particle in the gut causes an over reactive immune system to attack the body’s own tissues. There are many types of autoimmune diseases that attack different parts of the body. Nearly 20% of the population is affected. Celiac disease is one type of an autoimmune illness. Studies have found links between celiac disease and other autoimmune conditions such as Hashimotos Thyroiditis, type 1 diabetes, multiple sclerosis and various others. Gluten sensitivity and intolerance do not only affect the gut. Gluten sensitivity or intolerance can lead to brain disorders like brain fog, schizophrenia, autism and epilepsy. Brain fog which involves memory issues and lack of mental clarity; and fatigue are symptoms of both celiac disease and non-celiac gluten sensitivity. The inflammatory reactions in the gut may also lead to increased vulnerability to dementia and Alzheimer’s disease. There are various other factors that are associated with mental health and therefore, eliminating gluten will not necessarily cure mental illness. However, gluten can be a factor for some people and a number of mental illnesses are known to respond to a gluten-free diet. Is Fish Oil Essential for Brain Health? Celiac disease is linked to gluten-related skin problems such as dermatitis herpetiformis. Symptoms include itchiness, red rash and blisters. Symptoms of the condition are more prevalent in people in their 20’s. Once more, people without celiac disease can also have this problem. This study shows that non-celiac people can present as skin problems such as eczema, dermatitis herpetiformis, and psoriasis. A lot of people hold the belief that wheat is addictive. Cravings for wheat products such as doughnuts and bread are quite common with many people. There is no scientific research showing that wheat is addictive. However, certain studies suggest that wheat has addictive properties. Breaking down gluten in a test tube produces peptides which can activate opioid receptors. This is a possible explanation of how gluten exorphins may activate opioid receptors in the brain. Maybe this is why some people are addicted to bread and pizza. Also, since gluten can increase permeability in the intestinal walls, it is possible that these exorphins can find their way into the blood stream, reach the brain and cause addiction. There have also been reports of gluten exorphins being found in the blood of patients with celiac disease. Animal studies indicate that opioid-like peptides derived from gluten can end up in the brain. In food addiction circles , it is believed that wheat is one of the most addictive foods after sugar.